The New York Mets couldn’t have picked a better night for the final show of their concert series. It was a perfect late September night that kicked off with hundreds of young dance and cheer squads from the tri-state area doing a fun routine to songs by Demi Lovato and Ariana Grande. Dance Cheer Night meant there were significantly more teenage girls than usual in the stadium – oh, and the fact that Austin Mahone was performing after the game! 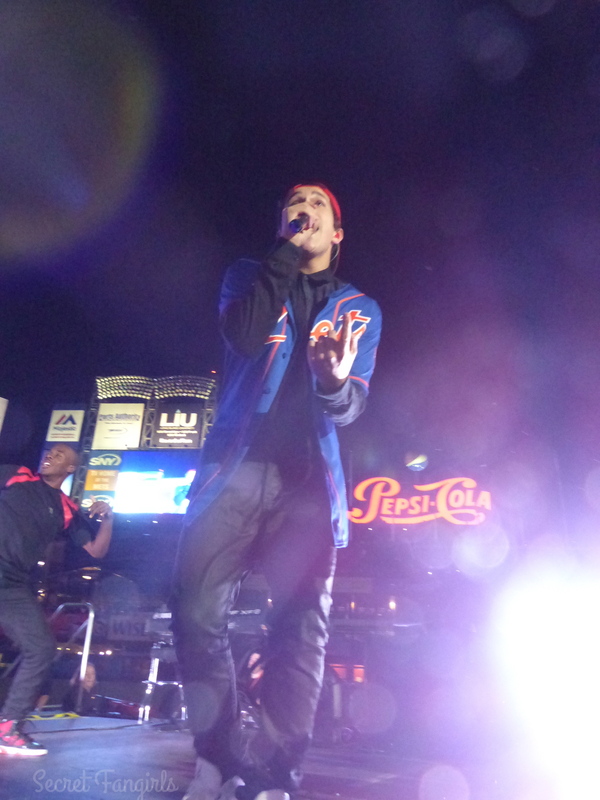 Between the cheerleaders and the fangirls in attendance, it’s safe to say that it was one of the loudest crowds Citi Field has ever seen (especially whenever Austin Mahone showed up on the big screen). After the game (which the Mets ended up winning 2-1 in the 9th! ), a stage was quickly rolled out behind 2nd base for the concert, which started just after 10:30pm. 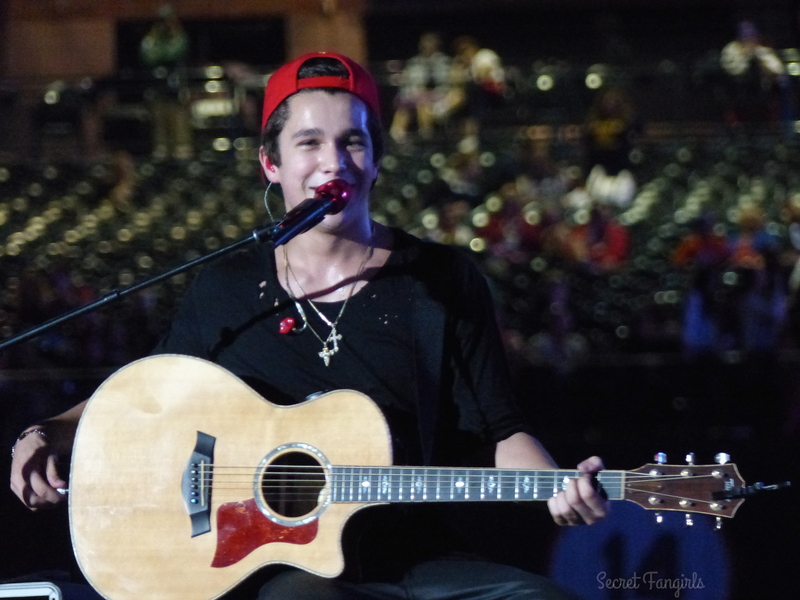 Austin performed a 12-song set, including an acoustic section that showcased his vocals and guitar playing. And we all know he can dance! The one man boy band showed off his smooth choreography to hits like “Banga Banga” and his latest, “Secret,” which sounds like a 2014 update of a 90s Backstreet Boys song (and is the Secret Fangirls theme song). Austin even invited 1 lucky fan on stage to serenade during “U.” We always knew he was a great dancer, but this was the first time we got to see his choreography up close, and we were majorly impressed. We can’t wait to see who the Mets will have in the lineup for the 2015 concert series! Besides Austin, recent shows have included Boyz II Men and Third Eye Blind. It’s a fun way to see your favorite artist, and to spend a perfect summer evening with some baseball, music and BBQ (or Shake Shack, or a burger…the food options at Citi Field are endless). Be sure to follow Austin Mahone & Secret Fangirls for more updates! Check back early next year for the 2015 Mets Concert Series lineup! Previous PostThe Friday Five: Fall Album ReleasesNext PostJake Miller To Release “Lion Heart” EP November 4th!